We had a bunch of leftover black-eyed-peas from New Year’s Day after we accidentally made way too many. After tossing around a few ideas, including soup, I decided on this for a simple and hearty lunch salad. Enjoy! 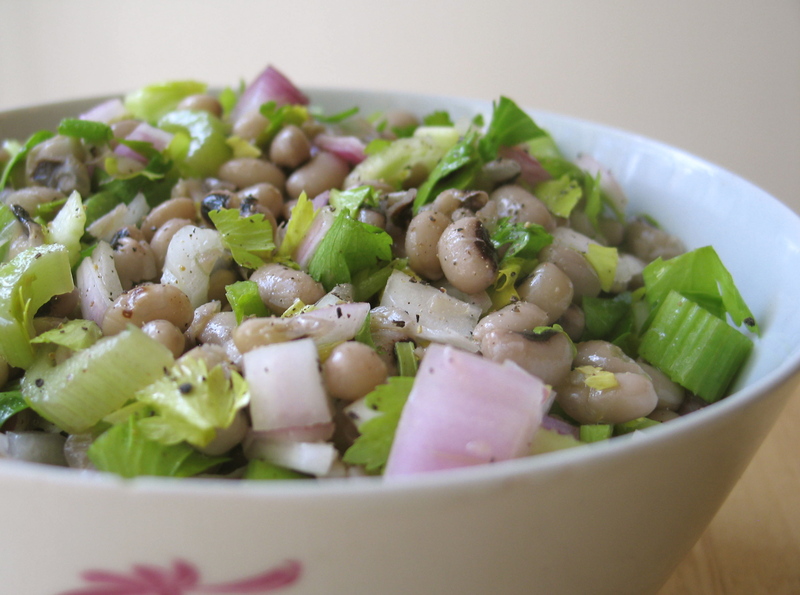 In a medium saucepan, add the black-eyed peas and 1 cup of water. Put the lid on and simmer for 30 minutes or until the beans are soft but not mushy. Drain the beans in a colander, rinse with cold water, and set aside to cool. Chop the celery and red onion. 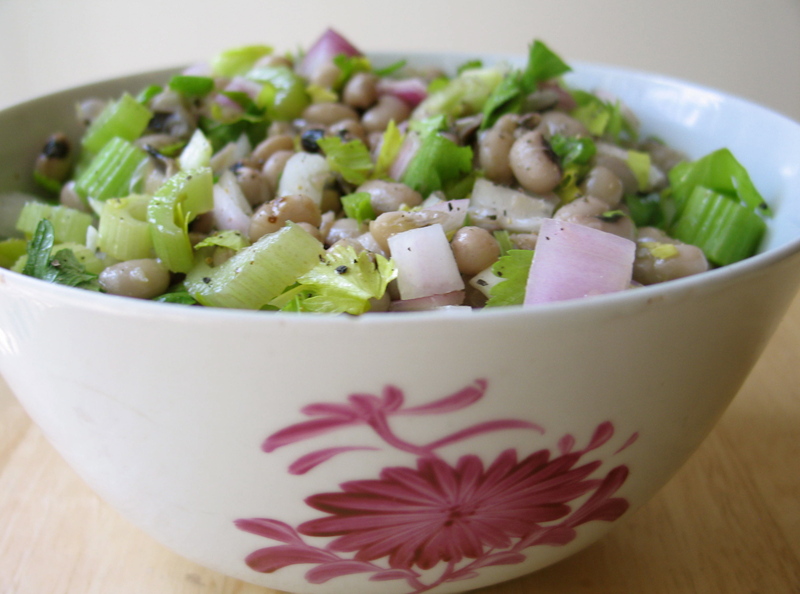 When the beans are cool, mix them with the celery and onion in a medium-size bowl. Drizzle with olive oil and white balsamic and toss well. Season with salt and pepper to taste. Enjoy! Delicious. How light and healthy!